1-1/4 Sophia Knob, 1 per package The traditional style of the Liberty 1-1/4 in. 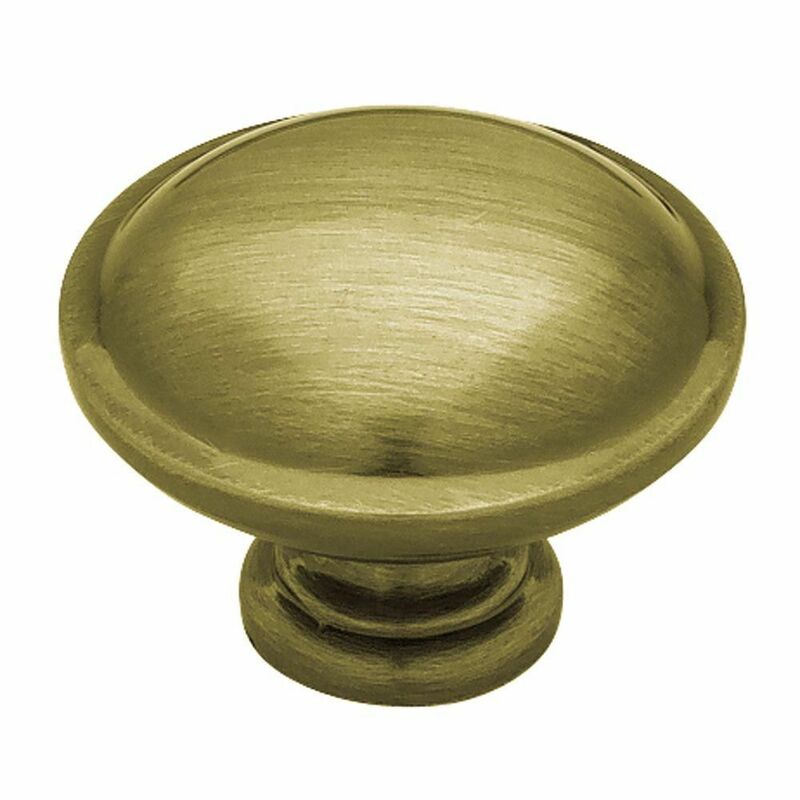 Antique Brass Round Knob provides a refined finishing touch to your decor. The hand-rubbed antique brass finish adds warmth to your cabinetry. Mounting hardware included for easy installation. 1-1/4 Sophia Knob, 1 per package is rated 4.6 out of 5 by 18. Rated 5 out of 5 by Craig from The knobs worked great and were very easy to install.... The knobs worked great and were very easy to install. They look very pretty also. Rated 5 out of 5 by hardyarkies from This cabinet knob match my other knobs that I had bought at another store and were discontinued. ... This cabinet knob match my other knobs that I had bought at another store and were discontinued. I was very glad to had found these at The Home Depot!!!! Thanks you very much. Rated 3 out of 5 by RV from The bolts are of different size from the knobs, so we bought separate set of bolts. Other than th... The bolts are of different size from the knobs, so we bought separate set of bolts. Other than that, the design looks great! Rated 4 out of 5 by cen from They were as expected. Nice color and work as... They were as expected. Nice color and work as intended. Rated 5 out of 5 by Betty from Yes, I’m extremely happy with my new cabinet knobs. It... Yes, I’m extremely happy with my new cabinet knobs. It was very easy to order them and they arrived earlier than they were supposed to. Extreme satisfaction!